We pride ourselves on our printing capabilities. 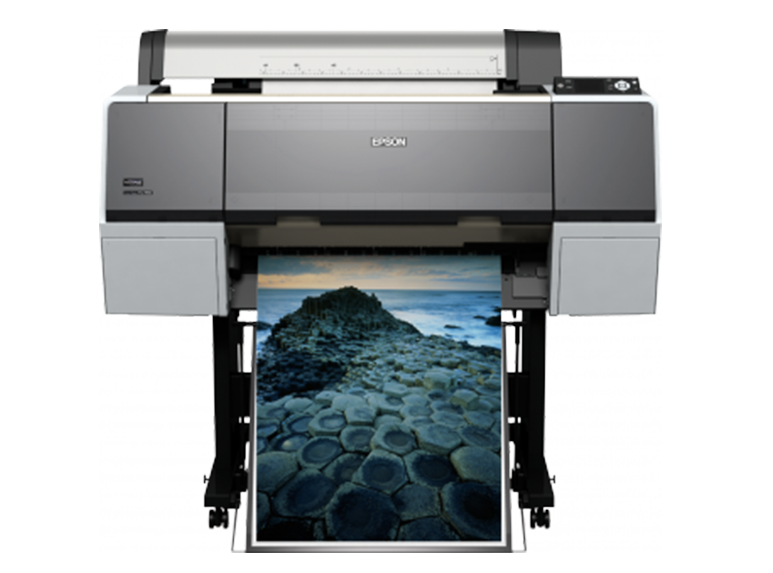 Our Epson printers use only archival ink to reproduce fine art digital prints from your photograph known as Giclee Printing. They produce a higher quality print with a longer lifespan. 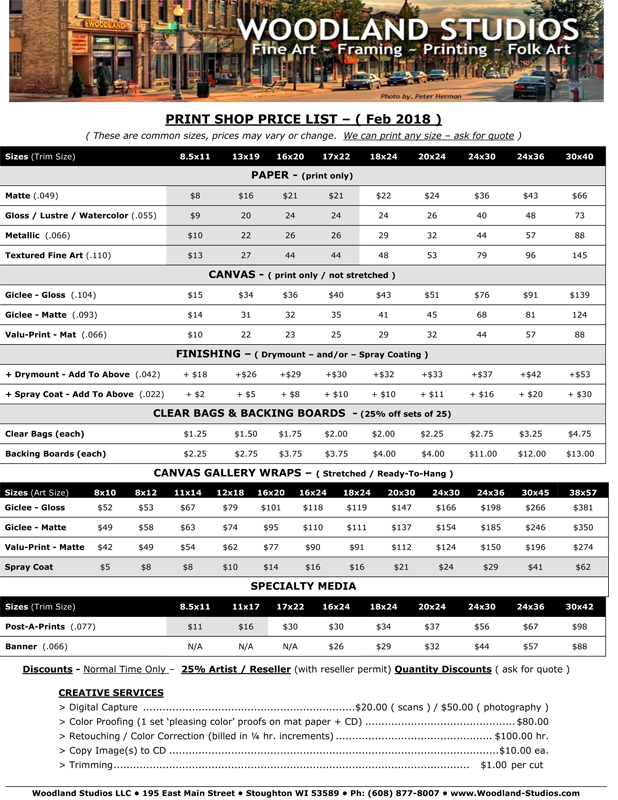 You have a choice of a variety of mediums to choose from such as tested Poly/Cotton Canvas and an assortment of acid free and archival papers that include Enhanced Matte, Gloss, Lustre, Watercolor, Metallic and Textured fine Art. We can also scan or photograph your art to create a file from which we can use to make prints . PhotoShop software is used to layer or enhance your image only when you authorize or ask us to improve your image. 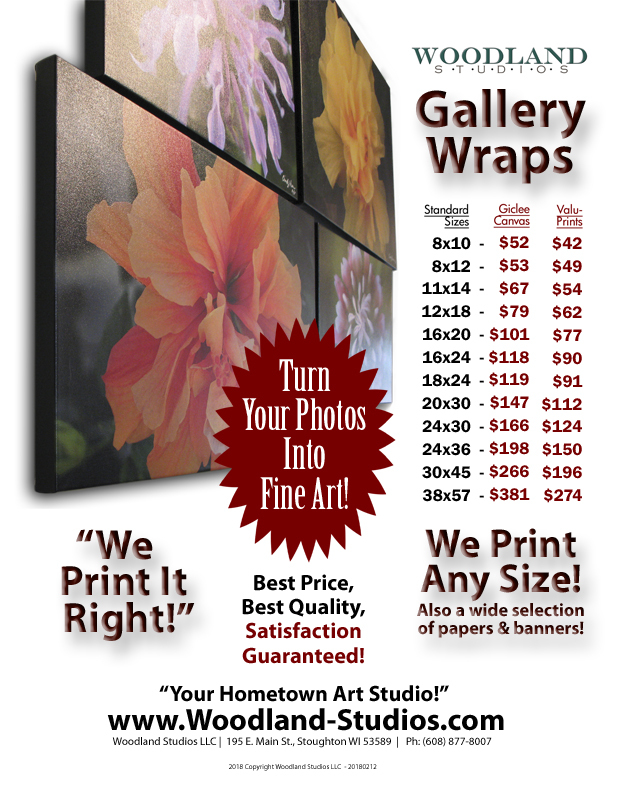 Visit our "Order Prints" tab and you can upload your image to us to print. We can evaluate the resolution and offer print sizes and cost information.